A Rocker Bottom or Rocker Sole shoe, is generally speaking a shoe that has a sole that is much thicker than that of your average shoe. These shoes are known as Rounded Sole, Toning, Round Bottom or Rocker Bottom, or Sole shoes, and have the main function of ensuring that the wearer does not have flat footing along the proximal-distal axis of the foot. You can basically replace ant style of shoe’s sole with a rocker sole, so there is a large variety of styles and functional shoes available with a rocker Bottom. Most Rocker Bottom shoes are built specifically to replace the function of a certain joint. Sometimes these shoes are used to compensate for the loss of a range of motion, where the wearer need more stability in order to have less tension and pain in a certain joint. Arthritis and other foot conditions, along with injuries may cause pain or loss of motion in the joints of your feet. Most models of rocker bottom shoes are designed in such a manner that the wearer’s body weight is shifted behind the ankle when they walk, so the wearer needs to do more work than with a flat soled shoe to find their balance. Other than foot orthotics, a rocker bottom shoe is the remedy for chronic and temporary foot problems of many sorts. In general, people who suffer from any condition or injury that causes painful joints or immobile joints will greatly benefit from a Rocker Bottom shoe. 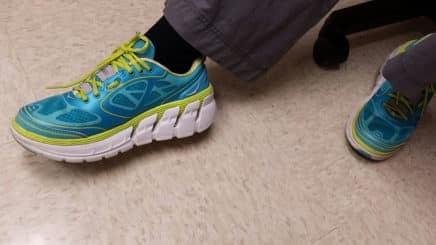 However, these shoes have become a potential solution for a wide range of issues, particularly because of how they affect and manage gait issues. Conditions such as Achilles Tendinopathy, Knee Osteoarthritis, Claudication, Hemiplegia, Plantar Fasciitis, Chronic Lower Back pain, Metatarsophalangeal Joint Osteoarthritis, and Arthrodesis are all main health conditions that require the use of rocker-sole footwear. Although warning goes that some rocker bottom shoes may inhibit your balance, so you will need to tread with care in these shoes, particularly if you are not wearing them as corrective shoes. Rocker Bottom shoes are mainly designed with the core concept of making flat surfaces more unstable, in order to enhance functional performance to address gait issues. The Ankle Joint Rocker will inhibit motion in your ankle joints, where the sole is thicker in the heel and midfoot section. The Lisfranc Rocker aids in reducing the propulsive force to the midfoot and has a very low forefoot area. The Met-Head Rocker reduces ground reactive forces to your ball of the foot, and has a thick sole almost throughout the shoe, except for the toe. The MPJ Rocker is similar to the Met-Head rocker and prevents dorsi-flexion of your toes. The Heel Rocker reduces the ground reactive force to your heels and has a more even form and lower sole. The Healing Rocker will hold your foot in a dorsi-flexion position, to offload the forefoot. This shoe has a thick midsection, and low heel, and an even lower toe section. A fun and funky slip-on clog, the Alegria Seville and Aaron are perfect as a work or casual wear shoe for everyday use. Features a patented interlocking footbed system with latex and memory foam, as well as a cork for the best in cushioned arch support. The leather uppers are stain resistant and available in a range of fun and colorful prints. The uppers on the Aaron are a Suede leather finish available in a few bright and funky color options. A durable and slip resistant, thick rocker outsole. This shoe also sports an adjustable fit for all foot types. The Drew Flare and Lightning 2 has a stunning new look, as well as sporting extra depth and a stable rocker outsole to give you the best joint support when walking or running. Comfortable leather uppers with breathable mesh panels. The interior is fully padded and lined with an AEGIS microbe treated shield to prevent odor and staining. A rocker rubber outsole with a cushioned pad specially designed for walking. Extra depth to accommodate foot conditions. The ideal walking shoe with Rollbar technology for a flat foot, and other foot conditions such as Plantar Fasciitis. Available in a few neutral color designs to choose from. Durable and genuine leather uppers with a Compression molded ethylene vinyl acetate midsole. Rollbar technology for stability and controlled movement to reduce the impact on your joints. Endurance and walking strike path technology. A comfortably cushioned dual density polyurethane footbed. As you have most likely noticed, MTB is one of the top brand1 names when it comes to Rocker Bottom Shoes, and rightfully so! The Kisumu is a comfortable, adjustable sandal with a multi-layered Rocker Bottom. Sporty styled every day wear sandal with grain leather uppers. MBT sensor technology in the heel for shock absorbency. MBT pivot strike technology for the ideal foot striking platform, support and cushioning. The leather straps are all adjustable for a more customized fit. The Mighty walk is an athletic shoe with a sleek design, and VersoShock technology, for comfortable and easy walking and running when you have painful joints. Seamless interior to prevent chafing and irritation. The removable comfortable insoles allow for the use of your own orthotics. The toe box is extra roomy to accommodate certain foot conditions, such as Bunions and Hammertoe. A front rocker sole for midfoot support especially for Plantar Fasciitis pain relief. Another highly functional, yet elegantly styled Rocker Bottom shoe from MBT, the Hani and Asante is a Pump Style Dress shoe. Leather uppers with a removable cow leather lining. Midsole Sensor Technology, where the heel absorbs shock, complementing the midfoot sensor. The Pivot Strike technology is ideal for transitioning into propulsion while still enhancing support and cushioning. A non-marking, durable rubber outsole. Available in extra width sizes, and has a removable insole. These are some of the top-rated Rocker Bottom shoes that I have chosen in a variety for every occasion. So if you suffer from joint pain in your feet or ankles, I would recommend considering a Rocker Sole Shoe brand1.